It pays to be a little more concerned about your health and fitness these days. We are beginning to understand the importance of healthy living and what it can do for you. That’s why so many people are taking steps in their lives to lose weight, and become fitter and healthier. 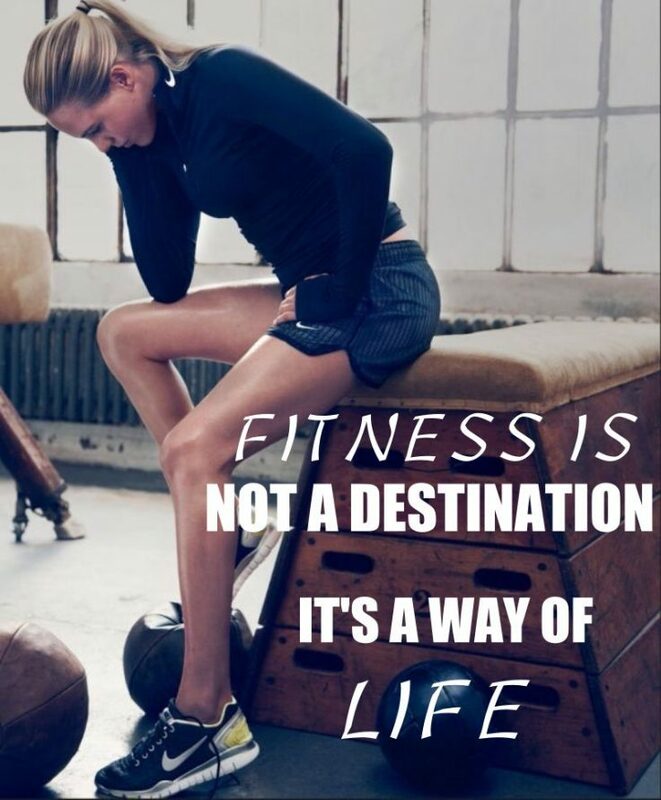 And you also need to try to find the time to make fitness your way of life. Yes, I know you’re busy, and I know you have a million and one things to do. But it is essential that you do what you can to make sure you keep fit. If you can do this, you’re going to live a much healthier and happier life. Take a look at the ideas I’ve come up with for how you can make fitness not just a part of your life, but your way of life. Look for ways you can work fitness into your day. The one complaint so many of us have is that we don’t have the time to keep fit. Well, the simple solution is to make the time and to do that by fitting things in around your schedule. If you have a gym at work, then try to get there a little early and use the gym before work. Or you could use it at lunchtime instead. There are other ways to involve fitness in your daily life. Why don’t you ditch the car and walk or cycle for the day instead? Sure, it’s less convenient, but that doesn’t mean it’s not doable! The key to mastering health and fitness is commitment and motivation. It can be very difficult for anybody to get motivated and pumped up all the time. And that’s why I would recommend you get a buddy to do it with you. Choose a trusted friend who is also serious about keeping fit along with you. The two of you can do it together, and you’ll be able to motivate each other when the going gets tough. This is honestly the best way of doing something like this because it helps you keep your eye on the prize. Listening to your body is a skill you must develop in time. If you feel your body tells you something hurts (when exercising or eating), than stop your action! You won’t be able to reach your fitness goal as fast as you want if you suffer an injury. Your weight on the scale does NOT define who you are, so stop judging your self worth by what your scale tells you. What other people tell you, or even what the world tells you should not interfere with your beliefs. You’re the only person that can determine your self-worth. No one else! Do a detox at least twice per year, preferably right after the winter holiday and right after the summer season. You don’t need to go with it for long periods of time; detoxing your body for 2-3 days should do the job. Here is a great 3-Day All-Liquid Detox Diet you can try. Also, you can detox your body in other ways, not just by drinking juices. For example, you can do a whole foods detox with brown rice and organic fruits and vegetables. It might sound like a weird suggestion, but, rather than hiring a personal trainer, why not become one?! What better way to make fitness a part of your life than to do it for a job?! You’ll need to know what’s involved first though to decide if it’s the right course of action for you. Check out personal trainer certification tips so you can understand what you need to do. This is such an interesting career path, and it’s an excellent way of keeping fit without having to take too much time out of your life to do it. Health and fitness play a huge role in our lives these days, and that’s important. You should always be looking for ways you can become fitter, but it seems hard these days. Everyone is so busy and has so many things they need to do, and it can be difficult to find the time. And that’s why you need to focus on trying to make fitness your way of life.